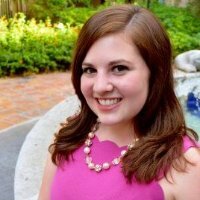 Favorite PR sector: I primarily work in energy and public affairs, but I also enjoy financial communications. How has PRSSA enhanced your knowledge of PR/ future career options? Attending all the national events, as well as hearing Chapter speakers, broadened my exposure to different skills and industries I’d never considered. PRSSA events put me ahead of the game by helping me narrow my focus early on. Briefly, what are you looking forward to working on in your role as part of National Committee? As Immediate Past President, I’m in the unique position of being on the PRSSA National Committee, while also a member of PRSA. I’m looking forward to helping communicate the value of transitioning to PRSA and joining the New Pros Section after you graduate. The PR/communications field can be stressful..what’s your favorite way to relieve stress? If I have the energy after work, I like to go running on nature trails with a good Spotify playlist.